Categories: Beef, Chicken, Fish, Green Tripe. 30 lbs in a box. 6 frozen Tubes per box. Each Tube weighing approx 5 pounds. This mix has it all!!! 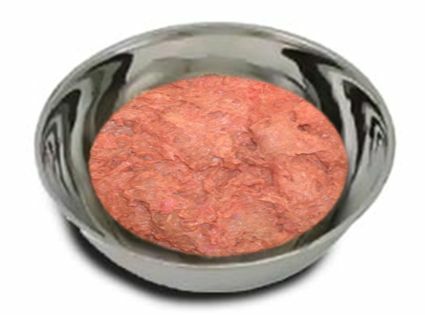 Ingredients: 60% Ground Chicken, 10% Ground Beef, 10% Beef Green Tripe, 10% Beef Liver, 10% Salmon. Only $60 per box.